ItemI-52512 - "Sarita River below the falls". 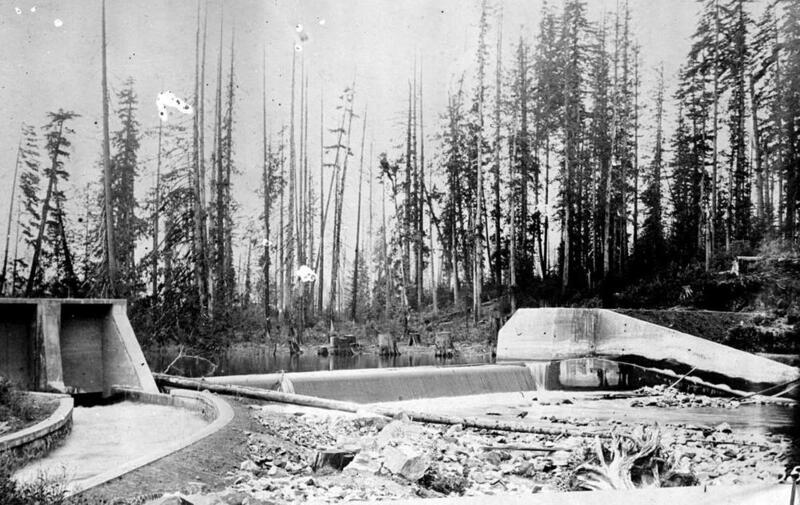 ItemI-52513 - "Hydraulic fill dam, Coquitlam Lake, Vancouver Power Company". ItemI-52514 - "Interior of Anyox Creek powerhouse, Granby Consolidated Mining and Smelting Company". ItemI-52501 - "East Kootenay Power Co., diversion dam on the Bull River". Item I-52501 - "East Kootenay Power Co., diversion dam on the Bull River". "East Kootenay Power Co., diversion dam on the Bull River".